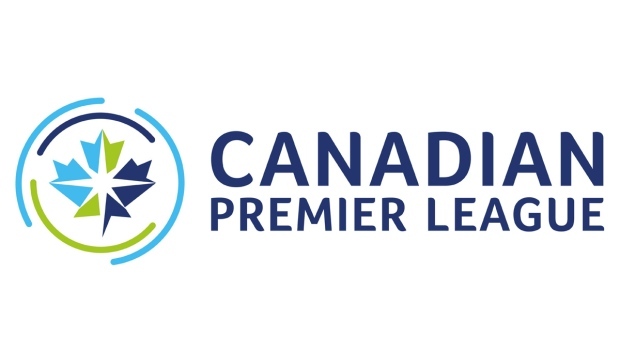 When the Canadian Premier League got the go ahead, a lot of questions arose about the makeup of the rosters. What will the standard of player be? What will the squad sizes look like? How many international spots will each team get? Another question was how much influence the three existing Canadian MLS teams would have on the seven inaugural rosters. Each team will be allowed seven international players on their rosters. Every team has at least one international player on their roster so far, with FC Edmonton the team closest to their international cap with five out of their seven spots filled. Pacific FC were the last team to sign an international, with Victor Blasco putting pen to paper last week. Whitecaps fans may remember Blasco from his time with the ‘Caps USL side WFC2 in 2015 and 2016. Six players on every starting 11 must be Canadian, which won’t be a concern to clubs, as at this point, 78% of all signings have been Canadian. It has been reported that every roster will eventually end up being composed of 20 to 23 players. 82 players have signed with the league so far with the expected final number of players being somewhere between 140 and 161, so we can safely bet that we have passed the halfway point of acquisitions. It was known very early on that Vancouver Whitecaps, Montreal Impact, and Toronto FC were going to remain in MLS and carry on business as usual, but that doesn’t mean that they wouldn’t play a role in providing players for the CPL. Out of the 64 domestic players that have signed across the seven CPL teams so far, 33 of them have connections to the three MLS teams. That’s just over half and doesn’t mean that all those players got MLS minutes or spent time signed with the first team. For some it was time spent with those clubs’ respective USL, reserve, or academy teams, and it’s many of those former USL players that will really thrive in the new CPL environment. Toronto FC has contributed 10 of these 33 MLS connected players. The Impact have the smallest contingency of the three teams with only six players so far having had experience at Montreal. Vancouver Whitecaps have had the highest contribution of ex-players, with 19 of CPL signings having had previous experience with the ‘Caps. Ten of those 19 are going to be playing with Pacific FC, which means every Pacific player, as of now, has a history with the Whitecaps. With many of them having played together across the levels for many years, what that does to help the team hit the ground running in terms of chemistry and team understanding should be invaluable. But not all of those ex-Whitecaps have headed over to Vancouver Island. They are spread around the league, with Cavalry FC also boasting its own strong former ‘Caps contingent. Among them is academy graduate and former WFC2 player Chris Serban. Serban attended the University of British Columbia and played for the Thunderbirds after leaving the ‘Caps academy. Most notably, he spent three years with Whitecaps FC 2 until they disbanded at the end of the 2017 season, before winning a PDL Championship last year with Calgary Foothills. His Whitecaps experiences mean a lot to Serban, both personally and in terms of his continuing development as a football player, but he admits that playing for a MLS2 team in the USL certainly threw up more than a few issues along the way of his development path. “The Whitecaps organization gave me my first professional contract and I will forever cherish my time with the club,” Serban told AFTN. “My unfortunate jaw injury in 2015 was a tough setback for me, however I used that time out constructively and focused on what I wanted to achieve when returning on the pitch. It certainly served as a recharge, both physical and mental, and prepared me for bigger challenges ahead. “Playing for an affiliate team was somewhat challenging, as the team was constantly changing. The USL team would train for a full week in preparation for an upcoming game, only to find out the day before the game or the day of the game that MLS players will join the team. While they were a great addition to the team, it was difficult to develop consistency or chemistry within the team. Frustration is understandable in such circumstances, and many former WFC2 players have voiced that to AFTN over the years. But the USL experience was certainly different across the board for these MLS2 sides. Another young Canadian player to go through the MLS “farm side” route was 23-year-old Zachary Sukunda. 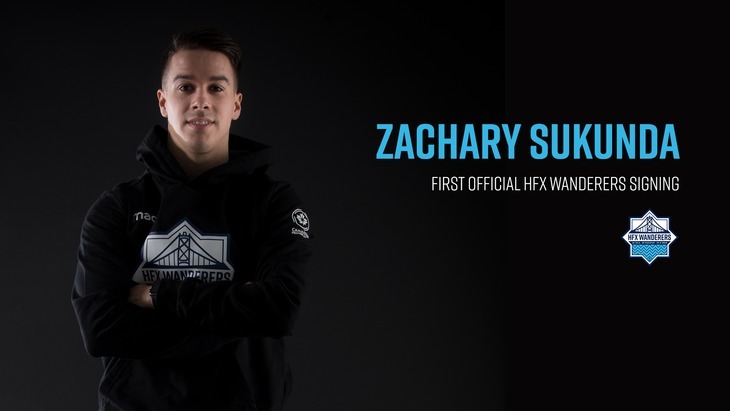 The new HFX Wanderers defender was the first announced signing by the club and one of those six Impact connected players to now find himself in the CPL. Sukunda was part of the Impact academy between 2012 and 2014, before making the jump to the Impact’s USL side FC Montreal for the 2015 and 2016 seasons, and is very appreciative of what his time spent there has meant to his career. FC Montreal lasted a year less than WFC2, and as that team folded at the end of the 2016 season, and the Impact merged their USL side of things with Ottawa Fury, Sukunda took the opportunity to make the move overseas, spending time first with Swedish Division 1 (third tier) side Umeå FC, and then Australian teams Hume City and Northcote City. Quite the journey, as well as being quite the eye-opening experience for the young Canadian as to how grueling things can be for a footballer here. Having now joined Halifax, at least that previous travel experience with Montreal will let Sukunda knows what lies in store for the CPL’s most easterly club. So what was it about the league that’s tempted him to come home to Canada at this point of his young career? Like Sukunda, and while not always a perfect experience, Serban feels that his time with the Whitecaps taught him a lot in preparation for the new pro path that is now ahead for him. 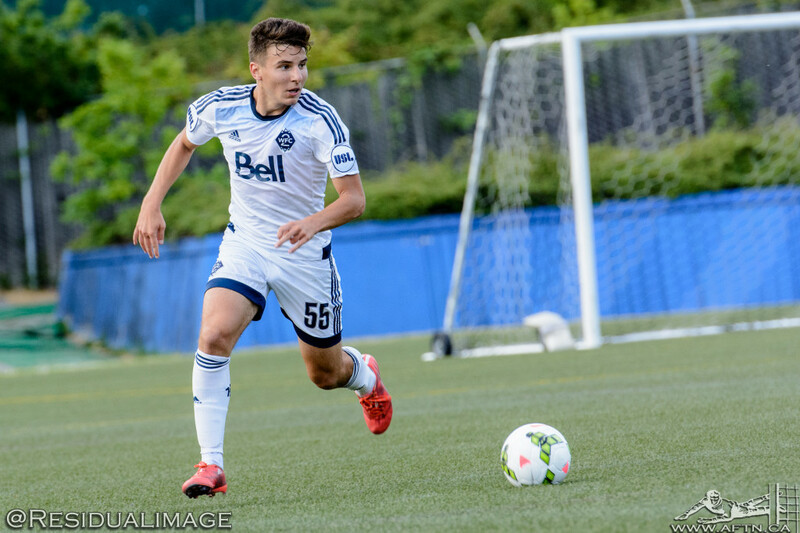 “The main thing Whitecaps 2 taught me was adaptability and resiliency,” Serban explained. “As the team was changing often to accommodate the available players for each game, I would be asked to play different positions, from left or right full back, to winger, while other times I would be completely excluded from the match-day squad. That adaptability is key in the modern game. Players who find themselves capable of playing in more than one position, of being that kind of Swiss army knife style player, definitely have a stronger shot of making it than others, and Sukunda also found such a mentality drilled into him in Montreal. “I learnt so much at FC Montreal,” Sukunda told us. “I would say one of the main things the coaches emphasized with me was my ability to use both feet. The staff knew I was able to use my left, but they made me practice it every day. When I got my chance to get my debut, three games into the season, it was as a left back, a position fairly new to me. 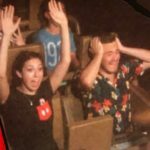 I took that position and made it mine for the rest of the season. For Serban, his time with the Whitecaps also saw another important aspect of his future shaped – playing time with some of his new Cavalry FC teammates, including goalkeeper Marco Carducci and centre back Dominick Zator. Having that previous experience and chemistry with them, and the previous Foothills connections the squad has, must be a massive initial boost for Calvary FC. “Playing with Dom and Marco over the past years created great trust and unity in our defensive line,” Serban admits. “Dom and I have been playing together for over two years, while Marco and I have been playing together from a very young age. This helped us understand our capabilities and limitations, allowing us to develop a greater cohesiveness as a defensive unit. “We learned to rely on each other, we built a trusting relationship, and we fine tuned our skill set so we can work as one unit. This experience will undeniably enable each of us to play with greater confidence in the upcoming season and make a more significant contribution to Cavalry FC’s success. Two young Canadian players who have come through MLS academies (Serban’s stay was admittedly brief here in Vancouver, just half a season) before moving onto MLS2 USL teams that soon ceased to exist. Both now find themselves in the CPL, ready to kickstart their pro careers once again on home soil, but having learned a lot along the way on their footballing journeys. With just over two months until the first kick of the CPL between Hamilton’s Forge FC and Toronto’s York 9 at Tim Hortons Field, there is no doubt that the roster assemblies are far from over. And it will be interesting to see how many more names can be remembered from their time at the ‘Caps, Impact, and TFC, and what contributions they will have in the league in these early years.